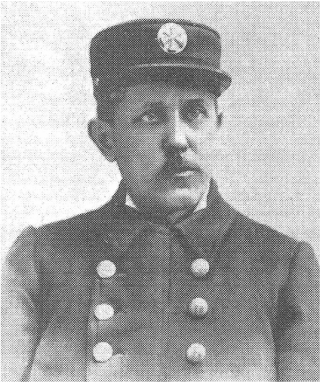 The second Chief of the paid Fire Department at Paterson, N. J., was born in that city December 16th, 1843. Mr. Stagg was educated in the public schools of his native city. In 1857 he went to work in the Guardian office and carried papers for about three years, working all day in the office and carrying papers evenings at a salary of $1.25 a week, but that was considered good pay in those days. He worked in the job department of the Guardian until 1862, when he enlisted in Company A, 11th New Jersey Volunteers. He served with the 11th Regiment as private, corporal, sergeant and quartermaster sergeant until, when before Petersburg in 1864, he was transferred to the First Michigan Cavalry, commanded by General Peter Stagg. 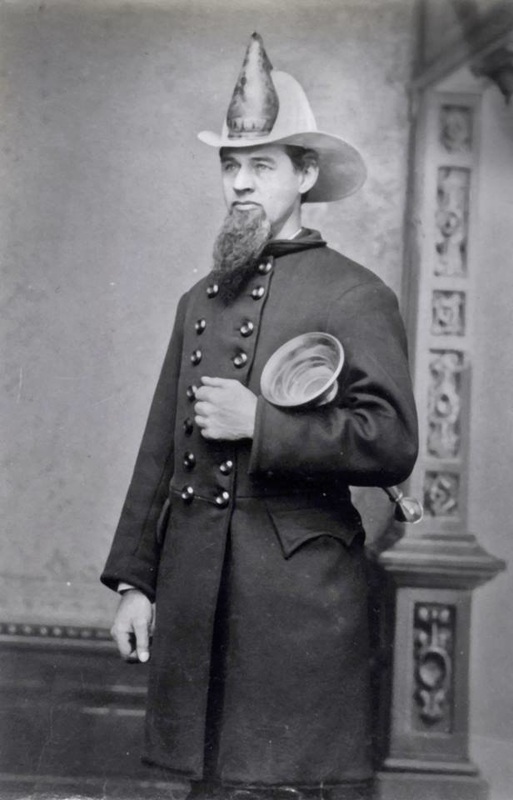 He was at once promoted to second lieutenant and soon after to first lieutenant and aid-de-camp on his brother's staff, and served as such in the cavalry raid through the Shenandoah Valley and around Richmond until the close of the war. The brigade was then ordered to Utah on special service and shortly after, in April, 1866, was mustered out. Mr. Stagg then drifted up into the gold mines in Montana and "roughed it' until September, L868, when he returned to Paterson. He was immediately employed at his old place in the Chairman’s office and, pulling of his coat and rolling up his sleeves, went to work as if he had been there the day before, instead of having gone through four years of the most exciting sort of life, full of hair-breadth escapes in battle, skirmish and raid, two years of which were literally in the saddle. Afterwards he was business manager of the Morning Call, which he continued until appointed chief engineer of the present department, May 6th, 1891. He joined Passaic Engine Co. No. 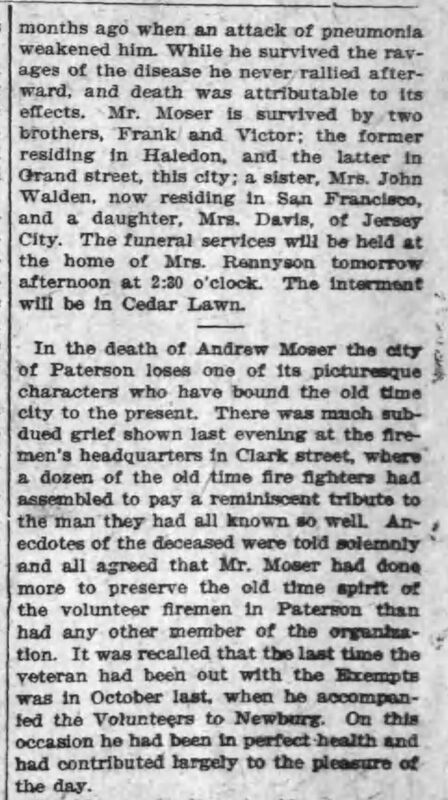 1 the same year he returned to Paterson 1868, and has been an active fireman ever since. He has always been foremost in everything appertaining to the department, rarely missing any fires over twenty years. He served as secretary and foreman of his company, and was elected chief after one of the most stubborn and hotly contested campaigns ever known in Paterson. Chief Stagg was a member of the National Association of Fire Engineers, and always took a deep interest in the firemen's organizations, of NJ. James C. Mills, First Assistant Engineer, was born in Paterson, N. J., in the year 1847, and was by occupation a silk throwster. At time of appointment in 1891 he was foreman in the silk mill of R. & H. Adams. He joined Protection Engine Co. No. 5 in January, 1871, and served with that company until the disbandment of the department, and then was appointed a callman. While in Engine Co. 5 his comrades placed him in the following offices: Assistant foreman, foreman, vice-president and president. Chief Mills served in the late war in a New Jersey regiment Co and at the expiration of service received an honorable discharge. John Gillmore was born in Girvin, Scotland, January 23, 1845, and on October 18th, 1865, he came to America and made his home in Paterson, where he has since lived. His occupation was that of a loom fixer, and he served as foreman and loom fixer for nineteen years in the large silk mill owned by Hamil & Booth. In 1871 he joined Engine Co. Xo. 6. and in 1880 he was elected foreman of this company and remained an active member until the reorganizing of the company from a volunteer to a paid company. 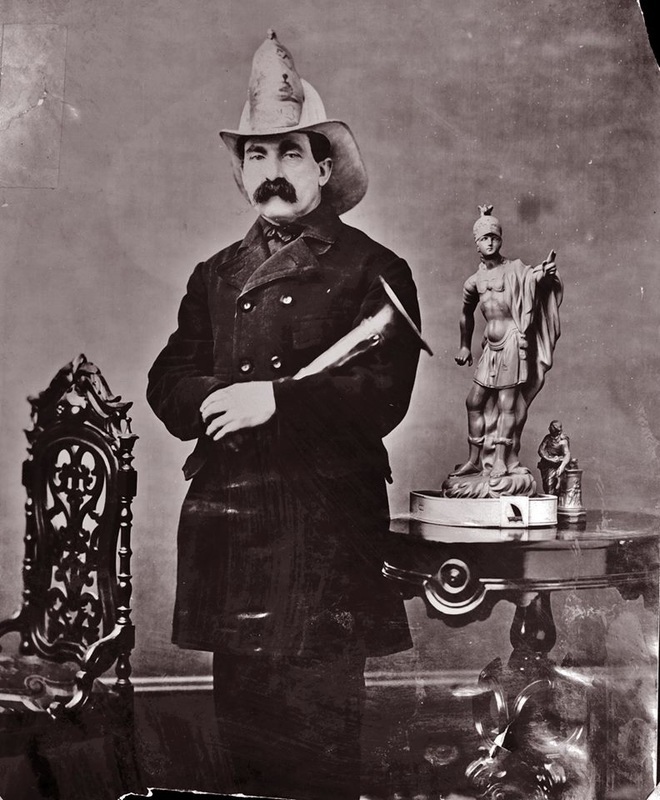 William B. Campbell, a President of the Firemen's Benevolent Association, was born in the Sixth Ward of Paterson in 1856; he is a machinist by trade, and his father was a fireman some thirty years ago, having been one of Washington No. 3's most active members in the "fifties." Mr. Campbell developed a fondness for running to fires when but a little urchin, and in common with his playmates in the sixth ward the tap of the fire bell was the signal which brought out every boy whose ears caught the sound. He became an active member of Neptune Engine Co. No. 2 on December 6th, 1876; since that time has been foremost in promoting the interests of his company. He has been honored by his company, having served them as assistant foreman, foreman and president. He holds the last-named position at the present time. He was elected a representative to the Benevolent Association in April, 1879, and has been re-elected annually since that time, serving on the relief committee for seven years. May, 1888, he was elected president of the Benevolent Association. Mr. Campbell has frequently represented his company in the annual convention of the lire department, and he is looked upon by all his associates and acquaintances as one who is a thorough fireman, with a love for the business that has made him a typical volunteer fireman. After the paid department was organized he became captain of Chemical No. 1. William Douglas, a Vice-President of the Benevolent Association, was born in Paterson, August 19th, 1853. 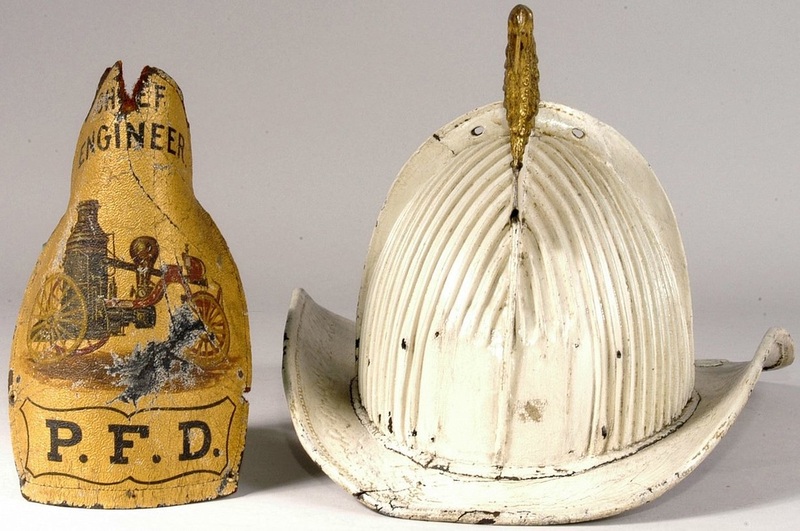 His father, William Douglas, was for many years an active member of Engine Co. No. 5, and served a term as assistant engineer. The son was a runner with and an ardent admirer of No. 5, and as soon as he had attained his majority (August 18, 1874), he became an active member and has ever since that time maintained a lively interest in the affairs and welfare of the company. He has been the recipient of many honors at the hands of his fellow members, having held every office within their gift except that of treasurer. In April, 1875, Mr. Douglas was elected a representative from No. 5 to the Benevolent Association and was at once elected vice-president. With the exception of one year (1883) when he was out of town he has been in the Benevolent board and has held every office except that of president and treasurer. The greater portion of the time he has been a member of the finance committee, often the chairman of it, and he is looked upon by his associates as one whose judgment is good and wise. Mr. Douglas has been in the employ of Messrs. E. & H. Adams (cotton and silk manufacturers) after 1870. For the next fifteen years he had been the superintendent of the three mills of the Adams Bros. He had the confidence of his employers to the fullest extent, and he is in every way a credit to the fire department. ​Mr. 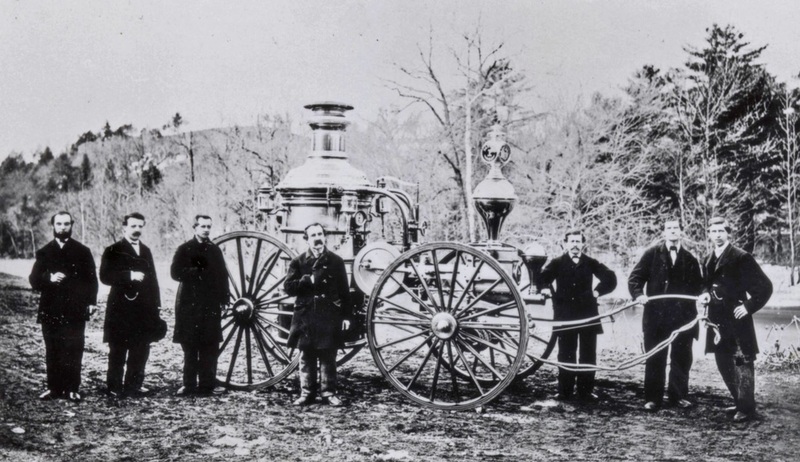 Quackenbush and one other were the originators of the idea of having a truck company to succeed Cataract Hose Co., whose house and apparatus were burned on the night of November 9, 1888. Mr Quackenbush was elected secretary of that company (which was known as Rapid H. & L. Co. No. 3) when it was organized, and has held that office until the present time, having been appointed call man when the department was changed to a paid system, February 28, 1890. He was assistant secretary of the Benevolent Association during the years 1881-82, and secretary in the years 1883-84. 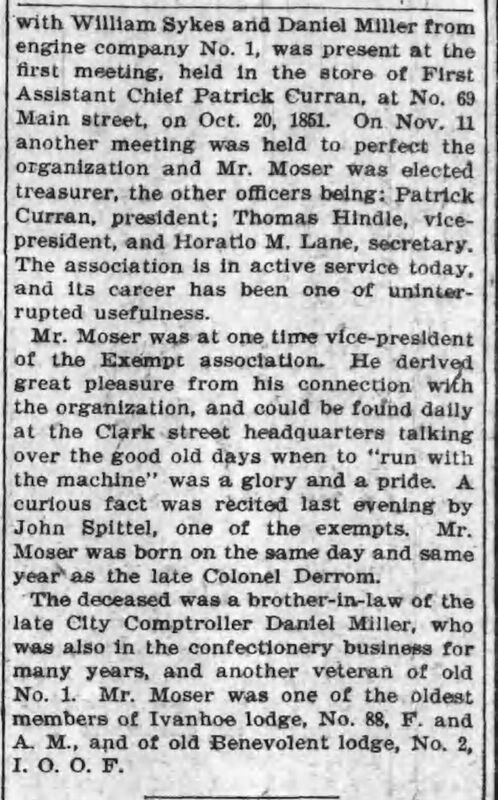 He was elected secretary of the Benevolent Association when it was re-organized, May 20, 1890, and had also been a member of the finance committee, and treasurer of the Call Men's Association. 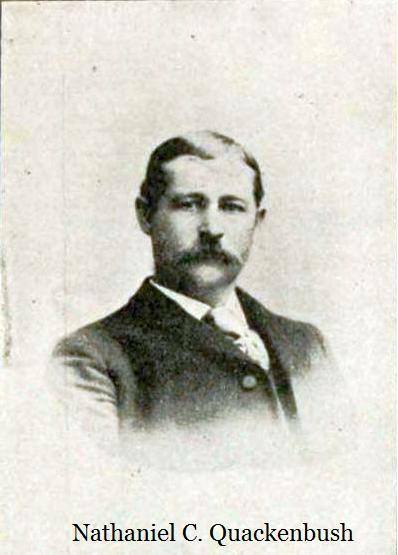 Mr. Quackenbush was a carpenter and builder and commissioner of public instruction representing the fifth ward, having been appointed ​as a Democrat by Mayor Beveridge, March 28, 1892, for a term of two years. Member of Exempt Association. John McKiernan, a treasurer of the Benevolent Association, was born in Paterson, August 18, 1833. He became a member of Washington Engine Co. No. 3, in February, 1852, and was elected treasurer of his company in October, 1855, and was re-elected in 1856. In May, 1859, he was elected foreman and served until May, 1862, when he was elected assistant engineer of the Paterson Fire Department. 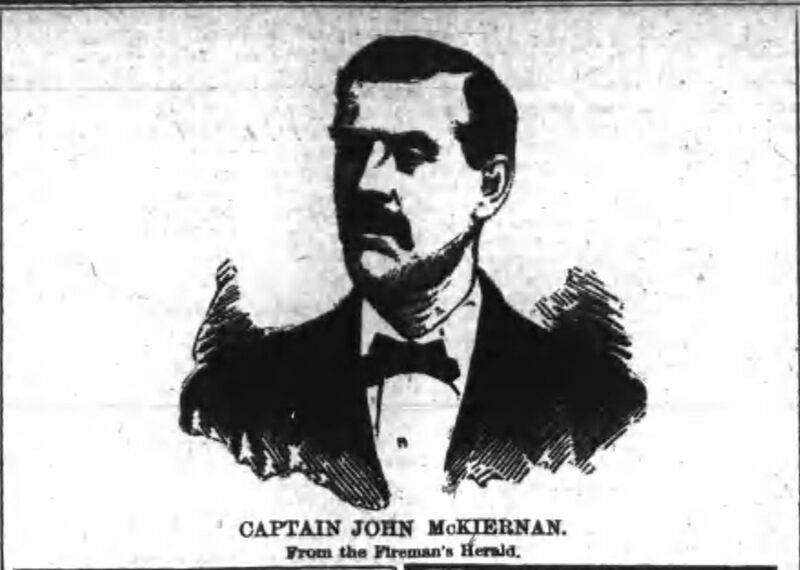 In September, 1862, he went to the war as captain of Company A, 25th Regiment, New Jersey Volunteers, which company was composed mainly of members of Mr. McKiernan's fire company. He served as senior captain in all the engagements in which his regiment took part, and they were many, as his regiment has a record of which its surviving members may be proud. Toward the close of the war Capt. McKiernan served in the Quartermaster's Department at Newbern, N. C. At the close of the rebellion he returned home with all the honors of a brave soldier. But more honors were in store for him. Firemen's Association, and he has been reelected every term since. 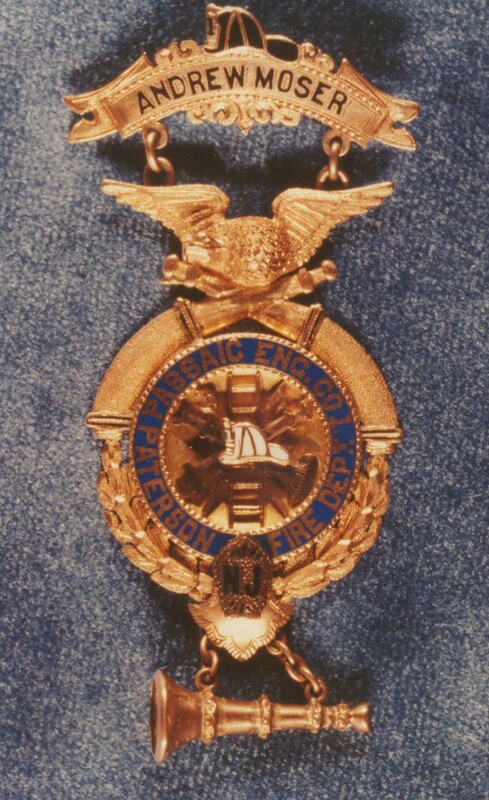 In November, 1882, at the organization of the Exempt Firemen's Association of Paterson, he was elected as its president, which office he also now holds. He is also president of the Exempt Firemen's Beneficial Association of his department. He has also been president of Washington Engine Co. No. 3 for the past fifteen years. 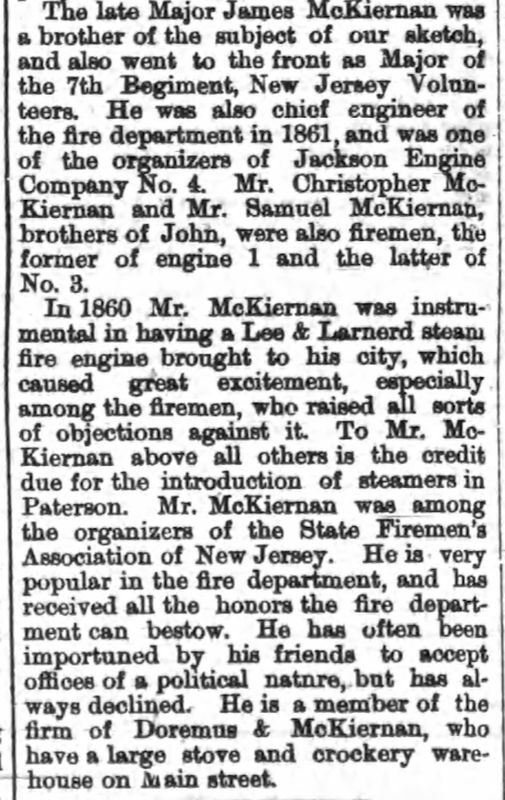 Mr. McKiernan was among the organizers of the State Firemen's Association of New Jersey. He was very popular in the fire department, and has received all the honors the fire department can bestow. He was often been importuned by his friends to accept offices of a political nature, but had always declined. He was a member of the firm of Doremus & McKiernan, who had a large store. Andrew Moser: This gallant old fireman and ex-Chief is the veteran of the Exempt Association, and was the oldest member of the volunteer department when it disbanded. He has a record that he can feel justly proud of. He joined Passaic Engine Company in October, 1847, and served continuously in that company forty-seven years. During all that time he failed to respond to roll-call after a fire only six times. Mr. Moser was never sick a day in his life, and he was far more active to-day than many a man of half his age. During his service in No. 1 he held all the different offices in the gift of the company and was the president of the stock company from the time of its incorporation until it was mustered out. Mr. Moser was born in Alsace, France, and came to this country in the spring of 1832, and accepted a position in Holtzman's old cotton mill. 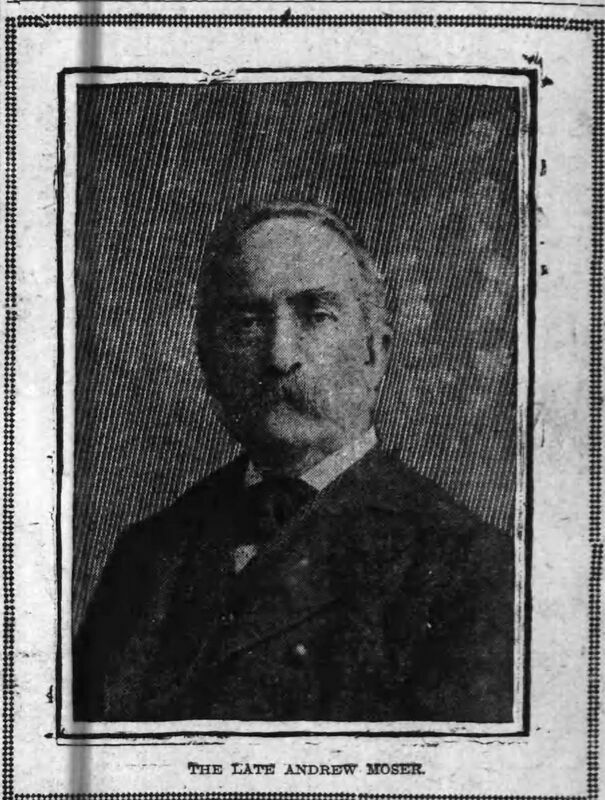 John I. Spittel was born in the city of Paterson, January 4th, 1847. 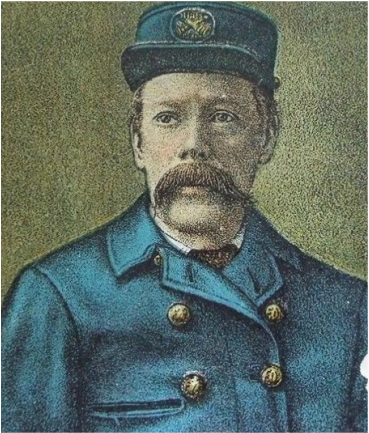 He joined the volunteer department in 1868, first becoming a member of Neptune Engine Company No. 2, and served in that company for several years, when he joined Washington Engine No. 3, and remained with them until the starting of the paid department. During that time he held the office of vice-president for five years under President McKiernan, and was elected foreman of the company in 1881. When the association was organized he was chosen as one of the original board of directors and held that position until 1880, when he was elected secretary, and has been re-elected at every election thereafter. John F. Murphy, ex-Chief, was born in this city in April, 1850. In 1807 he left his home here and went to Marquette, Mich., and remained there about three years. His first experiences as a volunteer fireman occurred while he was a resident of that city, and the knowledge he gained there proved useful to him afterward. He was in active service during the big fire in June, 1869, one of the largest conflagrations in the West. Mr. Murphy came back to Paterson in July, 1870, and on his return he became a runner with engine No. 6, and three years later he joined the association connected with Passaic No. 1, and became an active member of the company in April, 1875, and remained with it until it disbanded. Shortly afterward he was elected assistant chief of the paid department, and on the resignation of Chief Turnbull he was appointed to fill the vacancy. He served acceptably until his term expired, when he was succeeded by John Stagg. Major James McKiernan was born in Paterson in 1828. He was one of the organizers of Jackson Fire Co., No. 4 and was assistant foreman and then foreman of the company. 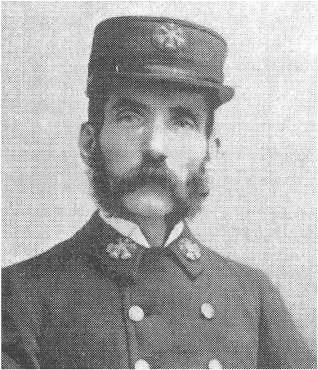 In 1861, when the civil war broke out, Major McKiernan was chief engineer of the Paterson Fire Department. He at once enlisted a company of one hundred men, nearly all firemen, and led them to Trenton. The boys elected him their captain and he was mustered in the United States service as captain of Company G, Seventh N. J. Volunteers. He served in the Army of the Potomac and was wounded and taken prisoner June 3d, 1862, at Fair Oaks. He was promoted to be major for gallant service. He served as commander of Farragut Post 28, of this city. He died December 2, 1882, universally lamented. 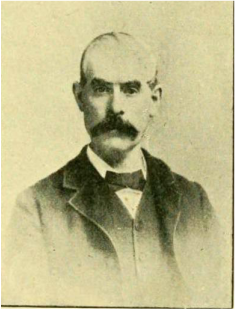 John F. Murphy, was born in Paterson in April, 1850. In 1867 he left his home here and went to Marquette, Mich., and remained there about three years. His first experiences as a volunteer fireman occurred while he was a resident of that city, and the knowledge he gained there proved useful to him afterward. He was in active service during the big fire in June, 1869, one of the largest conflagrations in the West. Mr. Murphy came back to Paterson in July, 1870, and on his return he became a runner with Vigilant engine No. 6, and three years later he joined the association connected with Passaic No. 1, and became an active member of the company in April, 1875, and remained with it until it disbanded. In 1888 aldermen appointed David Turnbull as Chief of Department and Murphy was as assistant chief (the volunteer department). The Paterson Fire department was reorganized into a paid department in March of 1890 with Turnbull and Murphy as Chief/Assistant Chief. On the resignation of Chief Turnbull in May 1890, Murphy was appointed to fill the vacancy as acting Chief. He served acceptably until his term expired, when he was succeeded by John Stagg on May 6, 1891.